During December travel companies can find that enquiries and bookings slow right down before the January rush. Red Sea Holidays optimised this quiet period to try out live chat and ensure their representatives were confident using the system. This prepared the travel company for the start of the year where it can become “very busy overnight” as consumers look to escape the winter blues and plan their summer adventures. For extremely busy periods where they are inundated with enquiries, or during out of office hours when many consumers will be browsing, the offline form has been particularly useful in helping Red Sea Holidays to continue gathering lead details. The form has been customised to suit the travel company’s branding and manages expectations by mentioning when the enquirer can anticipate a response. To optimise their chat uptake, Red Sea Holidays have also configured and reviewed their proactive invitation. The embedded invite displays based on how long the visitor has browsed the site. The image replicates a chat message, therefore encouraging the visitor to “continue” the conversation. Red Sea Holidays has implemented only some of the functionality available within ‘Experiences’ by Click4Assistance, making sure each aspect works successfully for them and helps achieve their goals. Other travel companies will optimise more of the features to help them improve their productivity and increase sales, being able to tailor the tools to fit their requirements. Many travel agents will use Promotions to show off their latest offers and competitions. This is an image that displays to the visitor based on timed rules or page(s) viewed. It can include a URL that automatically redirects the consumer to the relevant page for further information when clicked. 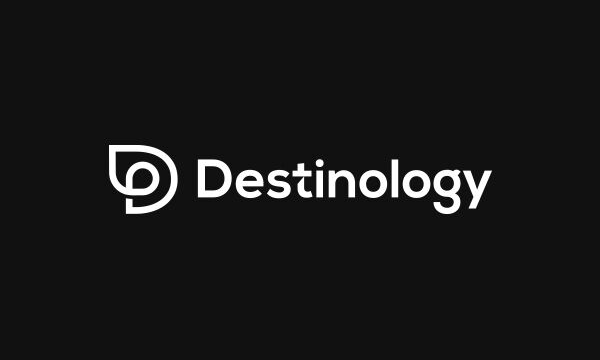 Travel companies may have specific representatives who are experts in certain destinations, they can be organised into routing groups within ‘Experiences’ to define their area of expertise. The pre-chat form can be customised to include a drop down combo list of destinations; the advanced distribution system directs the chat to the correct team based on visitor selection. This allows advisors to provide a high level of service, giving their personal recommendations that helps the visitor to make a booking. During a chat session operators can use Predefined Replies to help them answer commonly asked questions. This improves the speed and accuracy of their responses and is useful when experiencing high volume of enquiries. They can also use the Auto-Navigation functionality to automatically redirect a visitor’s browser to a page of interest. This can include making package or excursion suggestions and presenting the information that’s readily available on the website, or directing them to important travel information and Foreign & Commonwealth Office (FCO) advice. If brochures are digitally available, operators can send these in chat via file transfer. This helps the operator to confirm receipt of the information instantly and reduces the time spent having to send it via email. With high street stores going extinct, travel agents need to ensure their online services exceed visitor expectations to ensure they keep a competitive edge. 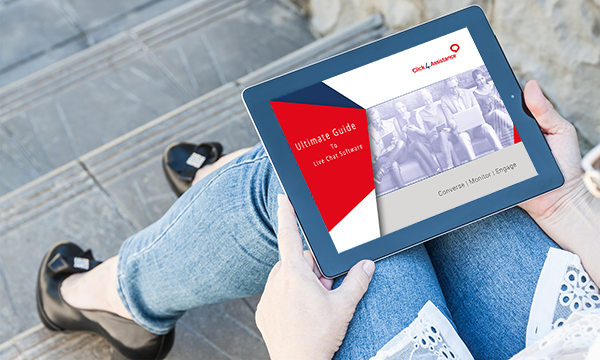 By implementing live chat and tailoring it to suit your requirements, your organisation can improve productivity and efficiency in the most effective manner. 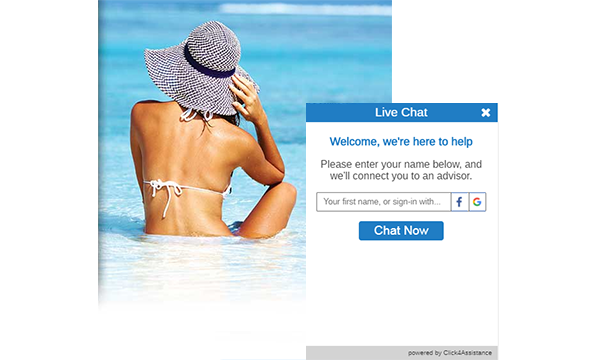 Click4Assistance has been providing live chat for website to the travel industry for over 10 years. 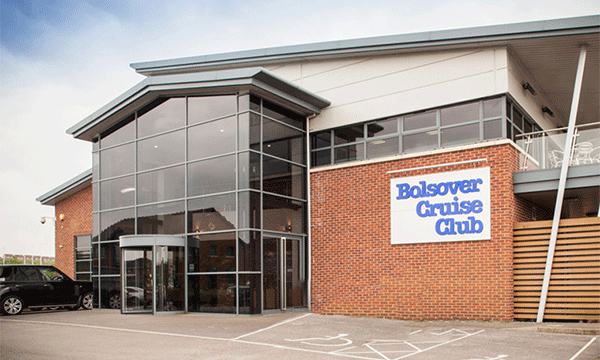 Our clients include Destinology, USAirtours and Bolsover Cruise Club. For more information on how live chat can benefit your organisation, call our team on 01268 524628 or email theteam@click4assistance.co.uk.